James O’Sullivan is a high energy, people friendly practitioner and lecturer of Integrated Medicine, serving the patient and client with the positive benefits of both Conventional Western Medicine and Traditional Chinese Medicine. He holds a BA in Psychology. He was privileged to study Chinese herbs, Acupuncture, Tuina Chinese Medical Acupressure, Medical Qi Gong, and Mindful Meditation, Tai Qi, under the excellent tutorship of Hung Shui Chen, “a living treasure” in Taiwan. He furthered his study in Ireland and gained considerable clinical experience in a number of hospitals under the teaching universities – Beijing University of Chinese Medicine – The Nanjing College of Traditional Chinese Medicine – Zhejiang College of Traditional Chinese Medicine. James is a past director of Acupuncture Council of Ireland, the independent association of acupuncturists dedicated to enriching practice standards in Ireland. 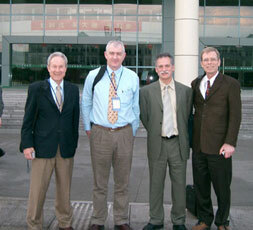 He is a past treasurer and council member of the Acupuncture Foundation Professional Society. He believes that, “it’s the client’s relief from pain and suffering that gives reason to our study”. His lectures are logical, inspiring, intellectually challenging, comprehensive, and fun to participate in. James is an experienced lecturer in Complementary Medicine and Holistic Therapies and is the kind of teacher that cut’s straight to the core of the subject, offering a broad bank of knowledge on empirically proven natural solutions to health disorders. James also holds a FETAC level 6 Train the Trainer qualification. James is a member of Teaching Council of Ireland, the Statutory body in Ireland for maintaining the highest standards of teaching in colleges. The Teaching Council is the regulator of the teaching profession and promotes professional standards in teaching. James is a visiting lecturer to Beijing University of Chinese medicine and Zhejiang University of Chinese Medicine where he has undergone formal advanced clinical training yearly. He also lectures to the final year doctorate programme. 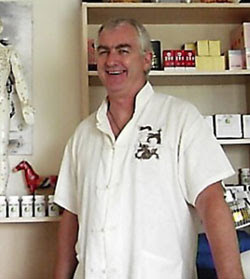 James is a founding member of Active Health Foundation, the institution that brings the ancient art of Tuina traditional Chinese Medical acupressure to Ireland, making it’s powerful techniques accessible to interested body workers. He is actively involved in other areas of Traditional Chinese Medicine. James has completed nine (9) medical internships at various affiliated hospitals of Beijing University of Chinese medicine, Zhejiang University in Hangzhou and Nanjing University of TCM, China. The internships included working with the best doctors and professors of medicine within the various departments of these university affiliated hospitals covering acupuncture, internal medicine, oncology, gynecology infertility, dermatology, pediatrics traumatology and cardiology as well as Tuina Physical Therapy, including sports acupuncture and Tuina. James has developed and delivered various workshops and seminars for a number of Irish organisations on topics like Wellbeing in the Workplace, Mindfulness Stress Management, Psychological Health Hazards, Dealing with Difficult Situations, Dealing with Aggression, Conflict Management, plus other talks that help organisations meet their safety, health and welfare responsibilities. Some of the Organisations: Nifast, Office of Public Works, Mary Immaculate College, Knock Airport, ESB, Bord Gas, Central Statistics Office, Dept of Defense, Dept of Transport, HSE, ………………..
James O’Sullivan founded the first Diploma in Tuina course in Ireland in 1997 for practitioners who had no previous qualifications in either complementary medicine or traditional Chinese medicine. Today the Diploma in Tuina Chinese medical acupressure is offered by a number of Further Education colleges. The Diploma is recognised by Beijing University of Chinese medicine who invite graduates to China every year to advanced clinical training. 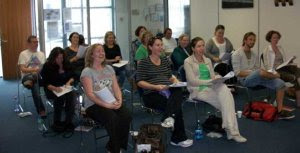 The Diploma in Tuina Chinese medical acupressure is offered in Pearse College – Crumlin, as a day course during the academic year. 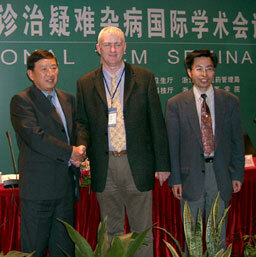 James O’Sullivan is the author of “Practical Chinese Medicine”, the core text book for students of Tuina and traditional Chinese medicine. More about the Book here. You can’t buy happiness ? – YES YOU CAN! I think ‘giving back’ is an essential part of life. I particularly support the Mutts Anonymous Dog Rescue & Adoption, Childline Online (Ireland) and Irish Heart Foundation. Acupuncture is based on ancient Chinese theories of the flow of Qi (Energy) and Xue (Blood) through channels or meridians which run throughout the body very similar to the nervous and circulatory system. Acupuncture itself is the insertion of fine needles into the body at specific points that lay on these meridians. These points have been proven effective throughout time for specific problems or diseases. In acupuncture, there are no side effects. It is merely a tool to allow the body to heal itself. Most people feel nothing, an Acupuncture needle cannot be compared to a syringe needle at all. Syringe needles are quite large, are hollow (to pull liquids in and out of the body) and are administered into arteries. Acupuncture needles are solid and as thin as one piece of hair. In Acupuncture, we administer needles with caution, avoiding arteries and nerves. Acupuncture is mostly painless, but since a stimulus needs to be obtained you will feel either a heaviness, distension, tingling or electric sensation around the needle or traveling up and down the meridian. Any kind of discomfort that is made from the stimulation of the needle disappears in seconds. 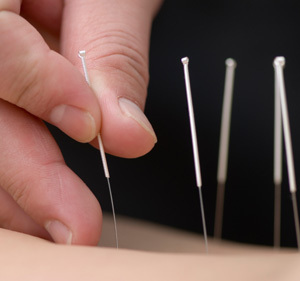 Acupuncture needles are pre-sterilized, individually packaged and disposable. Thus assuring there is no transmission of communicable disease from patient to patient. How can such an “ancient” medicine be at the forefront of the “new” millennium? Simple, acupuncture is so incredible because it works on all levels. This means superficially, internally, physically and emotionally. 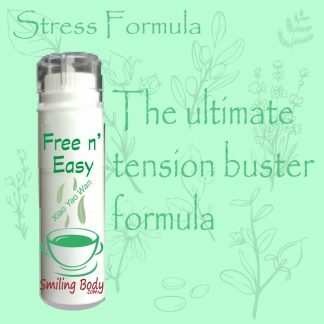 Therefore it works for superficial muscular problems, internal issues, emotional conflict and also as preventive maintenance. How does it work? Basically, the needles stimulate the energy or Qi in the meridians or channels. 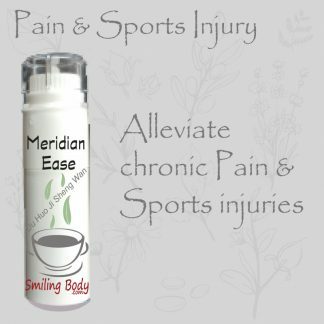 When we have pain or inflammation this indicates there is stagnation in that area of the meridian. To achieve results, all that is needed is to move the stagnation or energy with acupuncture. 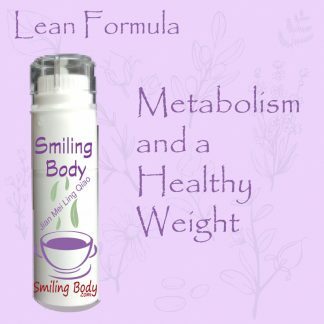 Concerning internal problems, this means any imbalance in the body, these manifest as symptoms…PMS, constipation, fatigue, insomnia, depression etc. Each symptom correlates to an organ and each organ has its own meridian. Acupuncture can then stimulate the meridian connected to the organ that needs balance, therefore achieving alleviation of the symptom. The Chinese believe “if there is free flow than no imbalance or disease can occur”, therefore we can ensure a healthy future and function at our optimum with monthly maintenance treatments. No. Acupuncture is used successfully on cats, dogs, horses and other animals. These patients do not understand or believe in this treatment, but that does not prevent them from getting better. That depends upon the duration, severity and nature of each individual’s complaint. Generally five to fifteen treatments are adequate for the majority of illness. Acute conditions may require only a single treatment and some degenerative diseases may require a whole series of treatments. Should I use Acupuncture with other types of health care? Yes. 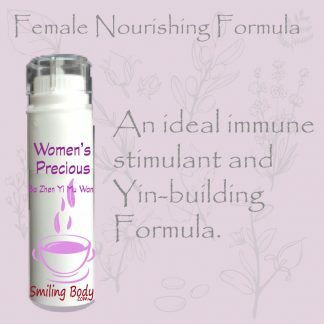 Oriental Medicine can be used by itself or as a complement to other systems of health care. 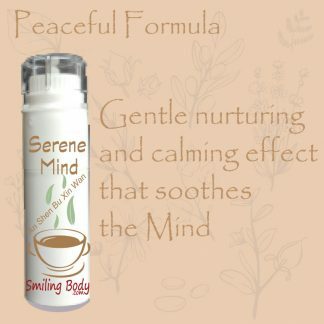 When used together with Western Medicine healing is enhanced. Please tell us if you are under the care of other health practitioners or about any medications you are currently taking so that we may coordinate our efforts. Please note: While Oriental Medicine can treat many conditions, there are situations in which Western Medicine is more appropriate. If this occurs, we will recommend contacting a Western Medical doctor. Look for the abbreviations L.Ac., O.M.D., D.O.M or Dip. Ac. after the practitioners name. All of these abbreviations are similar in meaning. Chinese Medicine as a system is extremely complicated and extensive. It is not just a collection of techniques that can be added to some other health care profession. Only seek treatment from professionally trained and qualified practitioners of Chinese Medicine. After you arrive you will be asked to fill out a short health history. These questions are to help your practitioner evaluate your presenting patterns based upon your symptoms. This “pattern of disharmony” is in large measure what makes traditional Chinese/Asian Medicine so effective. In a private room you will review the history one-on-one with the treating Practitioner. After further evaluation the Practitioner will explain the treatment strategy. Then your Practitioner will wash their hands and begin your treatment. What do I need to do to prepare for an acupuncture treatment? Prior to coming for your appointment, be sure to eat only a light meal or snack and drink a little water. Please also bring the names and doses of all medications and dietary or herbal supplements you are taking. Here is an excellent example “story” to explain where acupuncture is both the modern and traditional Chinese medical system. The story of the Three Brothers. Here you can connect with us on our social media and you can also register to receive notifications by email when we post a new article on our website.